When looking for a misting fan for outdoors there are different styles and a number of things to consider. Type of fan, the method of water input, electric or battery powered, standard or commercial? 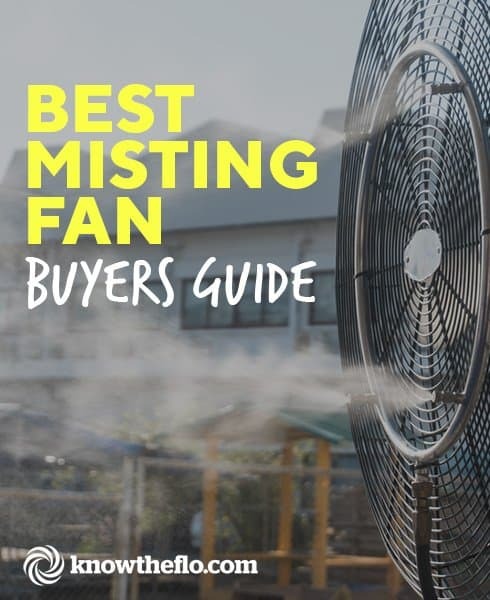 Below we provide a useful buyers guide to help you learn a bit more about misting fans, suggest some of the more popular fans with their pros and cons and answer some common questions regarding outdoor misting fans. One of the most popular best outdoor misting fan, the Lasko 7050 Misto is based on Laskos blower fans. Being small and compact it can also double up as just a fan if need be. 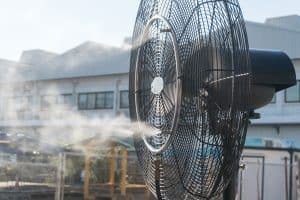 The setup for the fan is easy and requires no tools and the misting unit connects directly to a standard hose fitting. The fan is ETL listed for your safety and also uses an In-line gfci cord with 3 prong plug for safe outdoor use. Lasko has stated the fan can cool your outdoor areas air temperature by up to 25 degrees, this, however, will obviously depend by a number of factors. With 3 speeds this fan is able to be changed to suit the airflow level you are after and also oscillates. Bear in mind the oscillation only works on the fan and the actual misting itself does not oscillate. The misting kit, however, is easily detachable and this makes things very easy when you want to get into the nozzles and clean the mister. You are able to control the hose pressure from a little handle on the Mistos hose which will give you control over how much mist will be output. This misting fan is very compact and easily portable. The fan works well and for the most part so does the mister. Lasko’s Misto is not too noisy and does not impede much on an everyday conversation. It does what it is meant to and can cool the air around you very well and certainly cools you down on those hot summer days. Because the fan is quite small it doesn’t actually cover a large area, so if you have a large patio or outdoor space you might need something a bit more powerful. Again because it is a small fan, it does not have high pressure which means that the mist is not fine. There were a number of people who found they were getting too wet from the fan because of this. A number of people also mentioned the length of the hose fitting supplied is quite short, so you will need a long garden hose if you plan a lot of maneuvering. Consumers of this fan who rated the fan both good and bad mentioned it does leave a lot of water around the actual unit though there were differing opinions on whether that was an issue for them or not. It is also important to bear in mind that the humidity of the area will have an effect on how fine or not, the mist is. If you are looking for the best outdoor misting fan this would be worth considering. A misting fan that comes in the form of a pedestal fan the SPT SF-1666M has mostly positive feedback from its purchasers. Overall the feedback from consumers is fairly positive. The fan works well, the mist is said to be quite fine, but like other misting fans you will still get some wetness around the base. There were a few mentions about the base being a little flimsy and made from cheap plastic. Also, if you are looking for a fancy looking fan this one is probably not for you as the design is a bit old-fashioned. The Arctic Cove misting fan for outdoors is a bucket top misting fan with its primary mode of misting is sitting on top of a bucket full of water. It has a pump which drops into the bucket in order to give pull the water up and into the mister. The Arctic Cove has 2 speeds for both the mister and fan alone and runs on a battery rather than electric like many other misting fans. The standard battery can also be upgraded to more superior batteries in order to give the fan a longer running time. If for whatever reason you are not interested in purchasing a bucket, you do still have the option to connect the fan to a standard hose. 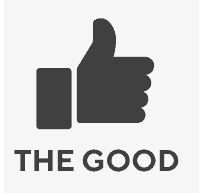 When there are no issues with the pump or batter, this fan pleases most of its consumers. The beauty (and perhaps also its curse) is that it does not need an electric connect so is much more portable than cord based fans. It is easy to move around to different spots and for campers due to the running of its battery. As mentioned above the battery can be upgraded for longer run times and also given it has a pump the PSI is a bit more powerful than your average pedestal misting fan. Unfortunately, there were common issues with the water pump ceasing to work and with charging the battery. For a few purchasers, the pump would break down quite quickly. A number of people put this down to a design fault. Others put it down to people not using clean water, which ends up clogging and ruining the pump. A few other people experience issues with the battery charger not recharging the battery, rendering the unit useless. NewAir actually makes a large range of misting fans for the outdoors. There are 7 different styles such as Victorian, shabby chic, rustic among others. This is great for people looking for an alternative fan or something to complement their more traditional decor. The fan is stated to be for indoors and outdoors. It is ETL wet-rated and carries a couple of other safety features including a CFGI plug, for power overloads and also contains UV resistant all-weather paint. Being a pedestal fan you have a lot of control over the direction you are misting. The fan can move up/down between 40″-51″ and also oscillates from side to side. The head unit also moves up and down, so you have optimal directional control. The fan also comes with 3 speeds. The style of the fan is unique and NewAirs range of traditional type fans are hard to find elsewhere. This was a big positive for a lot of purchasers. Many were happy with the power output and found the fan easy enough to put together. 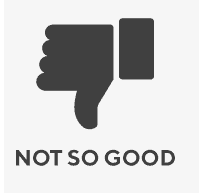 One thing that both happy and unhappy customers agreed is that the fan is actually quite noisy. A number of purchasers who had the intention of using the fan inside found the fan too noisy, especially in the bedroom at night when they were attempting to sleep. The noise was said, not to have come from the motor, but from the fan blades themselves. Some commented on the pitch of the blades as the cause of the sound and perhaps the lesser potential airflow than a number expected. The HydroMist Cool Caddie commercial misting fan for example comes with 16 Gallon Self Contained Water Reservoir, 1000 PSI High Pressure Misting Pump,(5) Nozzle Stainless Much much higher specs than your average misting fan. Like most other kinds of fans if you are looking for a serious version of a standard misting fan there are commercial options available. Apart from the obvious benefits of a higher powered fan there are actually a number of other important factors that make commercial misting fans better quality. Commercial misting fans will come with a water pump which gives them much more water pressure and higher PSI. Higher PSI gives your mist a much finer texture and you will not only get the benefit of more coverage area but a higher quality mist. Commercial misting fans will come with much larger water tanks and much higher CFM. Below is a glossary of terms and features that you will find when you are searching for an outdoor misting fan. Understanding these terms will better help you decide which fan will be right for you. RPM and CFM are quite different measurements. CFM means Cubic Feet / Minute and RPM is Revolutions Per Minute. CFM is the measurement of airflow. So the higher the CFM the higher the airflow the fan is producing. The more RPM the higher the noise level. The higher the RPM the faster the fan is spinning. Bear in mind this does not necessarily mean that the faster the fan, the better the output. This article explains the same principle with ceiling fan. One other thing to consider with misting fans is the PSI or ‘pounds per square inch’. A high pressure (PSI) and small nozzles combine to help make a small, thin mist layer which makes the misting process more effective. The smaller misting fans use the pressure made from the hose and the water pressure that it provides, however, the more commercial misting fans will have a pump integrated which will create far greater PSI. Oscillation is when the fan head or fan unit itself moves side to side, vary the direction of the airflow and creating better circulation. A standard feature on tower fans and pedestal fans, getting an oscillating misting fan will depend on the type of misting fan you purchase. There are pedestal type misting fans of which most will have this feature, however, there are other variations of misting fans that do not have this feature. Most misting fans will come with a standard sized hose connection for you to plug your hose directly into the cooler. Other variations of misting fans, especially commercial misting fans, may come with a bucket or tank in which is filled with water to use for the misting. Often these same fans would also have an alternative hose connection. Much like the variable speeds, variable misting settings allows you to choose exactly the amount of mist you want coming from the fan. Safety is always important with any electrical appliances. 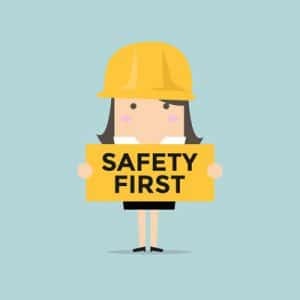 Be on the lookout for the following safety features offered by various companies. Probably one of the most important safety features your fan should have given you are dealing with water and the outdoors. It is especially important if you intend to buy a misting kit for a regular tower fan. Make sure that fan is ETL wet listed. Most standard pedestal fans are likely not going to have this rating which would make their use around water dangerous. This feature will shut the water off from the hose when the tank becomes full in order to prevent overflowing the tank. Different to a safety fused plug, the CFGI plug effectively monitors the current of the plug and if there is an imbalance it will trip the circuit for your safety. See this article for a full explanation. Approval from the Occupation Safety & Health Organisation is another organization that some misting fans are safety approved by. Before you buy, there are probably a few things you might want to consider. The first being that, given misting fans work on the principle of evaporative cooling, if you live in a high humidity area, then you will need to be aware that they are not going to work as well as if you lived in a low humidity area. Along with that if you want really good, effective mist cooling have a high pressure misting fan is going to work far better than a low-pressure system. A higher pressure fan creates a much finer mist and as you may find out reading reviews of lower pressure fans, not having that higher pressure can cause larger mist drops, making you and things around you much wetter. Below are a few other variables worth considering. Perhaps you already have a pedestal fan? Well, the good news is you may be able to turn this fan into a misting fan with a misting kit. You can purchase these kits and attach them to your current pedestal fan. Though, you will have to make sure your pedestal fan is wet rated. When it comes to misting fans there are 2 ways you can supply the fan water for misting. A hose or bucket or sometimes both. One of these may be more convenient for you so remember to check which method (if not both) your misting fan has incorporated. There are also misting cooling systems available which provide an alternative way of misting. These are great for being spread over a large area or running along an awning, fence, umbrella or any other structure around the house or workplace. If you are looking for a misting fan to be used in a commercial environment then you will want a commercial misting fan. These fans are generally more powerful and bigger in every way. They have much larger buckets for more water storage, higher CFM and higher PSI for increased misting. Consider the runtime you want your fan to have. With hose fed fans, this is not an issue, however with bucket fed fans, if you need a larger runtime, ensure you get a fan with a larger bucket. Most misting fans will give an indication of their runtime. If you are in an area with hard water, unfortunately, you will likely battle with calcium build up which can clog the nozzles. You are able to purchase calcium inhibiters ornozzle cleaning solutions to help alleviate this problem. Do misting fans really work? To understand if misting fans really work or not you need to understand the principals of how they work. Misting fans work by using the principals of evaporative cooling. Do misting fans work in high humidity? Misting fans work much less efficiently in a high humidity environment as the humidity works against what the fan is trying to do. The misting fan works by putting moisture into the air and then evaporates, taking the heat of the air with it. Obviously, if the air is already constantly moist (humidity) then the misting/cooling effect does not work. Low humidity or ‘dry’ climates are where misting fans work their best. As above, a misting fan works by putting moisture into the air which then evaporates, taking the heat of the air with it.